WorldwideJanitor.com is owned and operated by Inlayout, LLC, a local New Orleans corporation in business since 2007. Our Worldwide Janitor store first went online in January, 2013. Our mission is to transform the industrial janitorial supply market by providing easy online ordering for bulk commercial cleaning products that normally are only available through word-of-mouth and small distributors who sell to local businesses. We are making many of these products available online, in bulk quantities, to the general public for the first time. We are a wholesale shop that caters to the commercial buyer, but we sell to anyone interested in purchasing large quantities at a discount, without the membership dues that some wholesale buying clubs require. We don't waste your time with unsolicited calls or meetings. We don't send out mass emails to our customers that clutter your inbox. There are also no pop up marketing windows on our site. You don't have to waste time on the phone to get the best price on large orders. Nearly all of our items have price breaks built into the order options. We also provide additional bulk discounts upon checkout that remove price percentages when your total spend increases at different thresholds. We carry only high quality brands. We are very selective in the brands we carry, and we usually have the best prices online for those brands. WorldwideJanitor.com is an online distributor for Snee Chemical Company, Alconox, Crown Products, EnviroSafe, World Dryer, Hydro Systems, Knight / Idex, AMMEX Gloves, and other high quality industrial product manufacturers. Our line of Snee Chemical manufactured products are available in bulk sizes, some in sizes up to 55 gallon drums, giving every consumer the option to save money by purchasing in bulk. 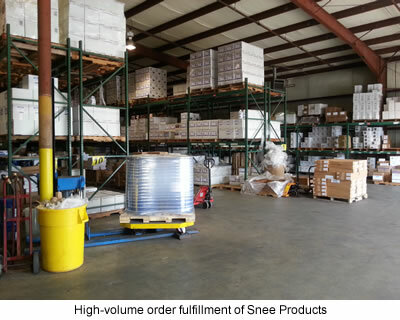 We chose to carry Snee Chemical products because they are one of the Gulf South's oldest and most trusted manufacturers of janitorial, marine, and industrial products. Their products are well-known and popular along the Gulf Coast, and utilized throughout the world. Snee has been in business since 1947, and these products have withstood the test of time. Our line of Alconox products cover the entire spectrum of critical cleaning agents that are popularly used in the medical, jewelry, and pharmaceutical industries. We have the best prices on the web for Alconox products. We also have the capability of filling large orders that many other companies can not handle. We can ship pallets and drums of most of our cleaning chemical products within a week's time. Our mission is to provide an easy to use gateway for the public to purchase commercial products online. If you need help navigating our site, or if you run into any problems at all, PLEASE let us know. We would love to hear from you. We love our customers.